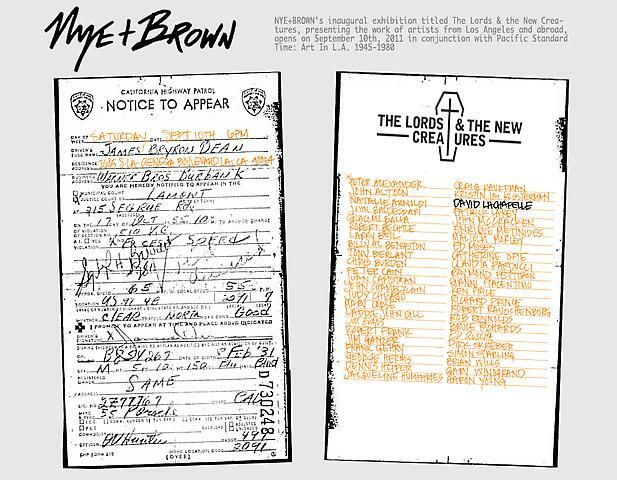 NYE+BROWN’s inaugural exhibition titled The Lords & the New Creatures, presenting the work of artists from Los Angeles and abroad, opens on September 10th, 2011 in conjunction with Pacific Standard Time: Art In L.A. 1945-1980. Artists featured in the show demonstrate what it meant (and still means) to willfully engage the sometimes beautiful and terrible conditions of the late industrial age in L.A. Drawn from at least three generations, selections include work by the historic vanguard of West-Coast finish-fetish, pop and conceptual art, placed alongside contemporary art. 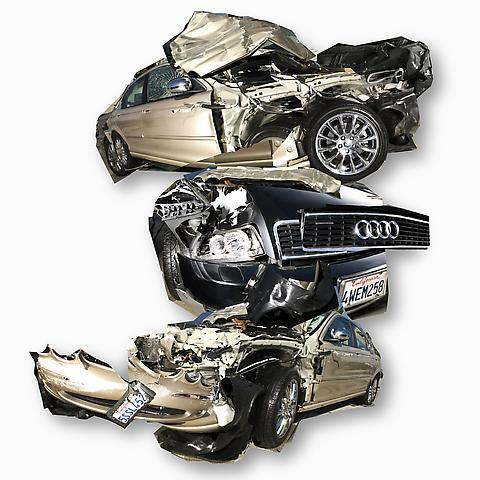 Often made of industrial materials, concerned with matters of light, perception and the problem of being, much of the selected artwork utilizes the car as a central motif for inspiration, for critique and comment or straight up play. So many artists in the show came from Venice, it serves as equal parts magnet and set piece of the exhibition. Way back when, the move to our beloved slum-by-the-sea may have been simply felt as that artistic reflex to find cheap, cool space and its twin engines, good light and free time. But it would seem no accident that the first great golden age of L.A. art happened in a neighborhood whose visionary conception and spectacular failure began as mixed-use, utopian residential amusement park—only to be banged into a hundred other shapes, including: a short run as a quickly tapped-out oil field; a fiercely local Galapagos island of urban board riding style; a hothouse for would be transgressors, beachcomber Rimbauds and mute poets, burners, dropouts and re-inventors of the way we look at things. Looking back on much of the important earlier work in this show, a question arises as to how the seekers of light and space sought, found and continued to pursue that purer art of perception in the midst of the psychic dread of, for instance, the build-out and overuse of a concrete grid stretching from the dirt of the desert to the edge of America and the gloaming Santa Monica Bay; the burnt orange fire of riots in Watts; the singular blow of Bobby Kennedy’s assassination; ratchets of machine gun volleys between the SLA and the LAPD; and, umm, Manson. Was it part of the very same sweep, scour and drag of the tide that fostered EST, Synanon, and the psychedelic everyday that minted gurus in countless unnamed temporary communes and platforms for self-realization? It may be that they touched on something universal. But the mayhem continues even still. Overt evidence of a crueler world has long since crept back into the art, but the high-velocity, ecstatic feeling of isolation in a crowd that has jacked up so many great artists since modernity immemorial is still being perfected in Los Angeles, here and now. It might be that those formative years of epic general conflict were compounded with the universal sensory overload of earth, wind, water and fire (earthquakes, floods, fires and light). That gray and blinding light, the elements, the turmoil, the art schools and the fantasy of an intense freedom conspired to culminate in L.A.’s epoch of frenzied growth and creativity in all fields: art, architecture, film and music (and all that it touches).